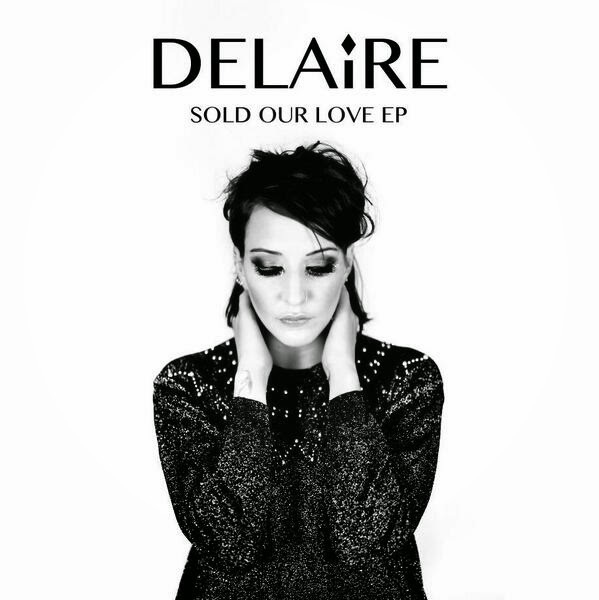 ZIPPY gusts of coarse techno blares hold the basis for London based artist; Delaire. This determined lass is certainly in it for the long-term, this proven by debut single - 'Sold Our Love', set to land on 1st September. Taking the stage name Delaire - Jenny Burdon uses her superior charm to captivate listeners in a feverish state, falling endlessly for the echoing vocality. A refreshing tempo definitely accumulates around a body of mystifying prowess, stumbling head on to categorically combust at the prospect of unrequited love. Crisp and thoroughly beautiful; each note of Sold Our Love cuts like the sharpest of knives, breaking through any clouded epiphanies and spelling out the real world. With an introduction so punchy and full of body the track simply oozes from each tip to tap - this continuation fully lodges itself so far within the cranium of each listener it's hard to forget the obsessive beat and need to show adoration. Why did you decide to use the name 'DELAIRE'? The name Delaire comes from a type of diamond 'The Delaire Sunrise' - I chose if as I wanted the name to represent strength and beauty. Something I hope to transpire in my music. You're from North London, do you think London has a lot to offer underground musicians? There's something about London as far as underground music goes.. there's not many places in the world where you where you could play a gig every night of the week. My 71 year old dad plays about 4 gigs a week! What's the 'dream' for you? The dream... To do what Dolly did this year at Glastonbury. Do you think women are shown in a different light to men in the industry? I think women are shown as they chose to be perceived. If you prance around in hot pants and a bra you will be shown prancing around in hot pants and a bra... There are so many strong women doing wonders in the industry - time to focus on the good not the ugly. What would your ideal night out consist of? If you could choose to be placed in any decade of history where would you put yourself and why? I would probably chose the sixties/seventies - I have seen photos of my mum looking totally beautiful and content in mini skirts and knee high boots. I would have liked to party with her! Where do you get the inspiration for tracks such as 'Sold Our Love'? All my songs are stories - either of my own experiences or of people close to me. Sold Our Love is about my own heartache. I believe the best songs are the ones you have lived. Are festivals something you'd like to do more of? I love festival season - there is nothing like a British festival crowd - sunburnt faces, overflowing beers and the ability to song along come rain or shine. I will always be a festival lover - and I will never stay in a hotel! You can quote me on that. Is there any Delaire gossip you can reveal to The Music Manual? Delaire gossip? Listen to the music... There's a lot revealed in there. So much so I got in a bit of trouble... Bad Delaire!